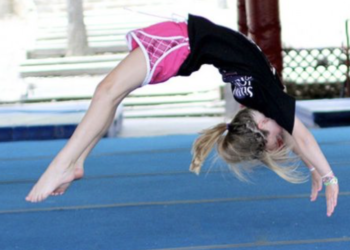 At Gold Medal Gyms, it is our belief that your child is taking part in the greatest physical activities in the world. Regardless of the sport, Gymnastics, Cheerleading, or Tumbling, all of these are highly comprehensive that requires the athlete to move their body through every plane imaginable. Once the athlete gains a foundation of movement they will be prepared to take on virtually any sport they choose. 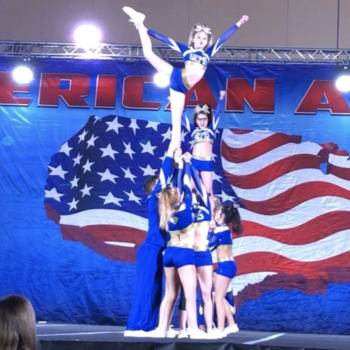 Whether your athlete is here for general fitness, to cross-train, or with the goals of stepping into the competitive arena, it is our commitment to create an experience that is fun and inspiring. Parent/Child, Sparklers Program, Rising Stars Program and Superstars Program. Young Beginner, Intermediate, Low Intermediate, and Elite. 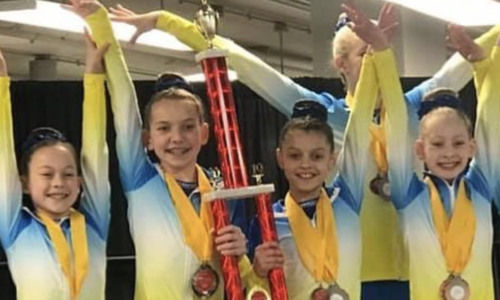 Gold Meal Gyms has one of the Top Competitive Gymnastics Programs in the Area. Click Here to find out more! 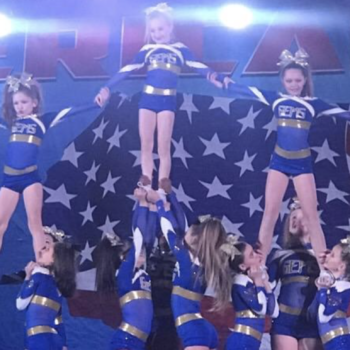 Make your child’s birthday wish come true with a great party at Gold Medal Gyms. We have everything you need for a fun, stress-free birthday party. Our trained instructors will host a party for your child that emphasizes both fitness and FUN! Our parties include all the paper goods and decorations. All you need to bring is the food! Our instructors will help you set up for the party. 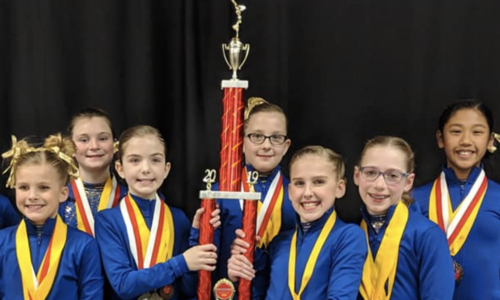 The children will spend 1 hour and 15 minutes in our gym and participate in structured activities that will introduce them to Gymnastic events (vault, uneven bars, balance beam, floor exercise, rings and parallel bars). In addition, your party will have 45 minutes of “free time” outside of the gym, with our instructors assisting you with cake, ice-cream, treats and gift opening. Don’t worry about clean-up! We will take care of that for you. 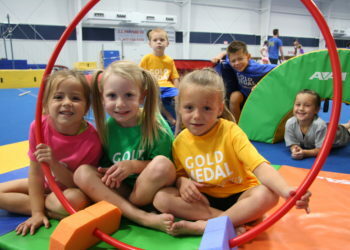 Children do NOT need to be registered for classes at Gold Medal Gyms to have their birthday party at the gym. Our birthday parties are open to all children! 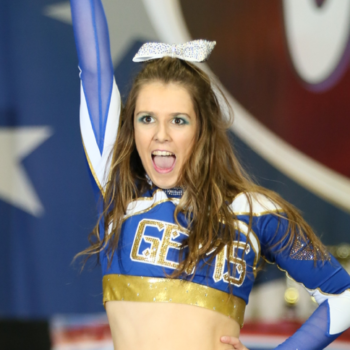 Want more information on Allstar Cheer? Click Here! This gym is a very happy place for my child. Staff is friendly and professional. Facility is clean and very well taken care of. My daughter cant get enough of this gym and wants to be there all the time. Very impressing! So love this GYM. Great team-building atmosphere for every child involved. Hands down if you’re looking for a gym for your child to grow as an athlete and personally this is the place to be. We had our son’s birthday party here today and had such a great time. The staff was so helpful and made sure the kids were enjoying themselves. Great facilities, great coaching, great atmosphere! 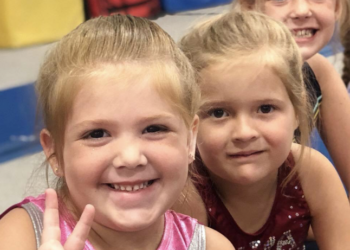 This place has been amazing for our 4 yr old daughter she’s only been enrolled a few months and this being her first experience with gymnastics, but u can already tell she’s learned a lot and she enjoys it. This place is amazing!! I have been here for almost 8 years!!! And I will never leave!